Brentwood, NY - April 17, 2014 - On Wednesday night, more than one hundred Suffolk County residents from Latino, African-American, and immigrant communities joined Suffolk County Executive Steve Bellone for a forum hosted by Make the Road New York, New York Communities for Change, the Long Island Civic Engagement Table, and the NAACP. Residents who came together at the Brentwood Public Library posed questions about the most pressing issues facing Suffolk’s diverse communities: jobs, housing, and diversity. "From Suffolk County Executive Bellone's language access Executive Order making Suffolk County one of the most language accessible suburbs in the country to publicly supporting comprehensive immigration reform and declaring Welcoming Week in Suffolk two years in a row, the county’s leader has signaled to the immigrant community as well as all Suffolk residents that the county has opened its heart and mind to work through how we can maximize immigrants’ contributions and build a stronger community together." Maryann Sinclair Slutsky, executive director, Long Island Wins. 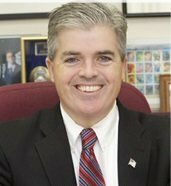 Subject: LongIsland.com - Your Name sent you Article details of "Suffolk County Executive Steve Bellone Talks Jobs, Housing, and Diversity with Latino and African-American Residents"